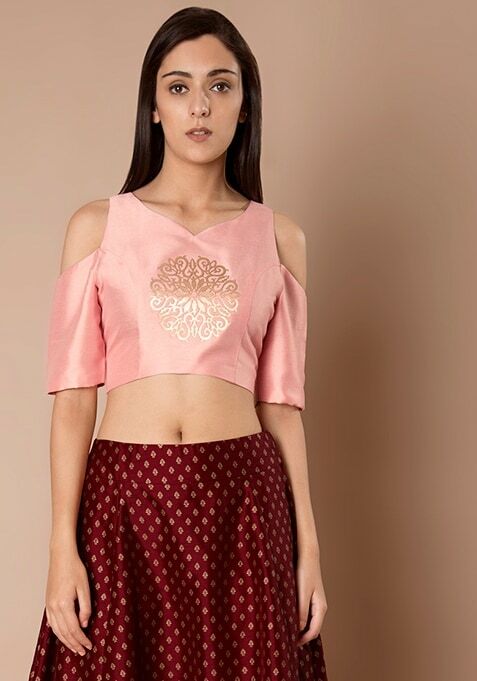 Re-invent your style this festive season with this new soft pink silk crop top. It features a cold-shoulder style, sweetheart neckline, a gold laser cut patch in the center and metallic zip closure at the back. Work It - Looks glamorous with a silk maxi skirt, high heels and a statement neckpiece.